Straying from a strict hygiene routine could spell trouble for contact lens wearers. In a recent study, Australian researchers reported that bacterial contamination of contact lens cases increased in wearers with specific hygiene behaviours. 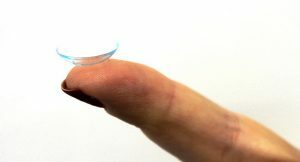 Analysis showed that two-thirds (66%) of contact lens cases tested positive for contamination and that levels of contamination were higher in those who had worn contact lenses for two years or longer, suggesting longer-term wearers may become more complacent. “Other hygiene instructions that may be beneficial include replacing lens cases at least every time a new bottle of [disinfecting solution] is used, drying the lens case face down, and rubbing (using clean hands) the lens case to clean it,” said one of the study authors, Professor Mark Willcox, a researcher at the University of New South Wales and the Brien Holden Vision Institute. “Contamination of lens cases is an increasingly significant way that contact lenses carry potentially sight-threatening infections”, agrees Deven Lakhani, Consultant Optometrist at Hammond Opticians in Enfield. “We advise cleaning the lens case every day and letting it air-dry, and give out comprehensive guidance on best practice with contact lenses. Wearing contact lenses can be safe and very rewarding when they are used properly. It’s important to remember that they are classed as medical devices and proper procedure should be followed at all times”, he added. Myopia more prevalent in school children Possible new treatment for diabetic eye disease while you sleep!